The Christian Wife Life: i have a confession. I don't like fall decorations. Or pumpkin anything. Don't get me wrong, I love fall...but not for the same reasons as most. I love fall because my car doesn't feel like an oven anymore when I get in, baseball playoffs start (although thanks to last night, my October dreams were crushed), hockey starts, football games are fun, it's time for the NC State Fair, basketball tryouts happen....okay my likes are mainly having to do with sports. Also it's pretty outside and it's not miserably cold yet. (Yes, I know it doesn't get that cold in NC, but I don't like being cold at all.) I do like to wear a sweater, jeans, and boots so I guess that's a normal thing. But I highly dislike anything pumpkin flavored. Cookies, muffins, anything. And don't even ask me about pumpkin spice lattes that people go crazy over because I don't like even a drop of coffee in anything. 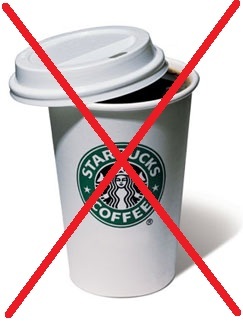 I could have a cup of hot chocolate and if someone put one drop of coffee in it, I'd be able to taste it and I wouldn't like it. That's how much I don't like coffee. I'm weird, but Jordan feels the same way which is convenient for both of us I suppose. It's fine when other people do all of the fall stuff, and I'm happy that they like it so much. It's just not for me. I like to keep things simple and clean looking when it comes to decorating, and I'm not a fan of stuff that is too "cutesy" as I like to call it. Also, orange really wouldn't fit in anywhere in our apartment. Just wanted to say.. even though I am a fall fanatic and wish I could live where it is fall year round, I laughed out loud reading your post! 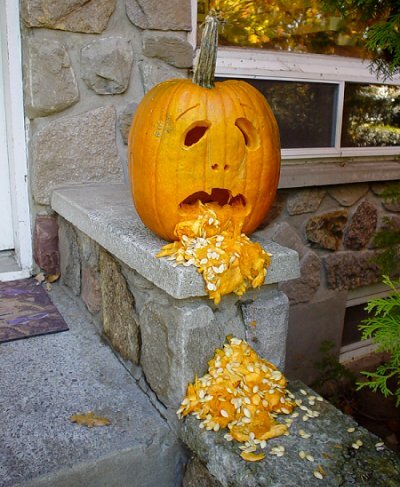 I love the vomiting pumpkin! And I haven't loved fall or pumpkins.. only when I moved to the mountains of NC did I begin to LOVE LOVE LOVE fall! By the way, you're from NC? ?